Here are some things that I would love for my boys to have in their closets right now. I am super into color right now, of course, kids look great in any color scheme. I also think that color invigorates their minds and matches their cheery personality. I am ok with spending a little extra on one or 2 items per season considering my kids tend to wear the same clothes all of the time. I also like to have fun with little boys style -so a little costumery piece is always ok in my book - let them dream! Plus how cute would their little faces be in a mask with a bow tie under their chin?! 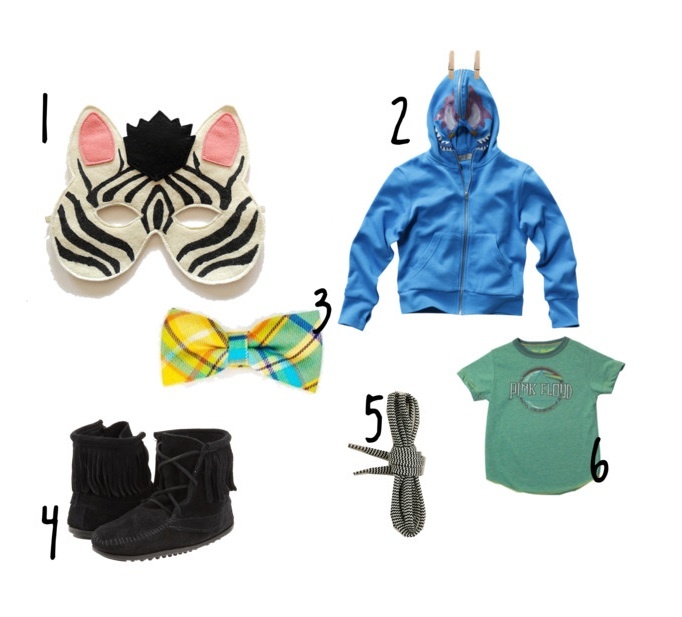 Thank you for including my zebra mask in your fun finds!